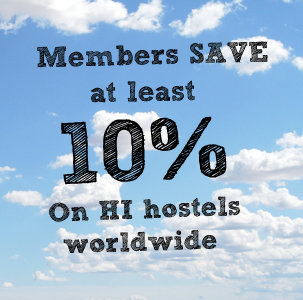 Clean, comfortable, safe and relaxed budget accommodation for independent world travellers and safari goers. 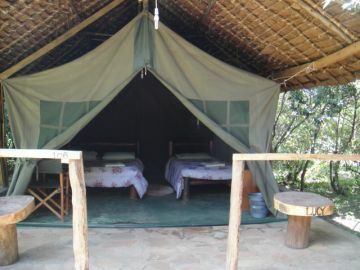 Enchoro Wildlife Camp is set in a beautiful and secluded forest with stunning views of the Oloolaimutia Hills and the Masai Mara National Game Reserve savanna plains. 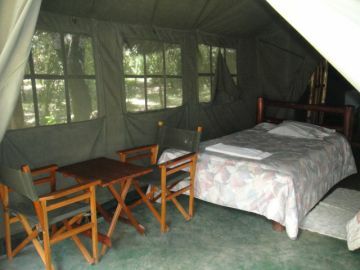 This camp meets the diverse needs of Nature lovers and sports enthusiasts. There are luxury bedrooms and restaurant making it a perfect place for a romantic honeymoon suitable for a relaxing weekend or a family holiday. Enchoro is a place to be where the heart feels at home, the soul is rejuvenated and where the spirit comes alive, you will wonder where to begin when there is just so much variety and splendor to choose from. All guaranteed to make your stay feel like royalty. 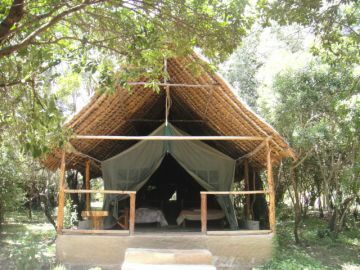 Enchoro Wildlife Camp is an affiliate member of YHA-Kenya, which is part of the worldwide network of Youth Hostels HI hostels. YHA-Kenya enables you to explore Kenya on a budget while maximizing your fun, freedom and flexibility. Enchoro Safari Tented Camp boasts numerous well maintained grass areas and an abundance of different varieties of trees making the surroundings in the Safari camp very enjoyable, this makes the tented camp very popular for groups, families and children as it have a safe and secure scenic environment for children to play. 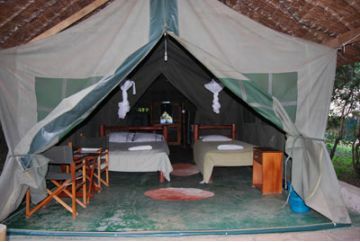 Enchoro Wildlife Camp is able to cater for a maximum of 50 adult guests in three different styles of safari camps accommodation however for special events more guests can be accommodated with prior arrangement. All rooms in our tented camps have scenic views over the Mara with a sit for hour’s veranda with outside chairs. Each of these accommodation options are designed to suite different traveler’s needs but the high standard of service is maintained thought the camp no matter what option you choose. 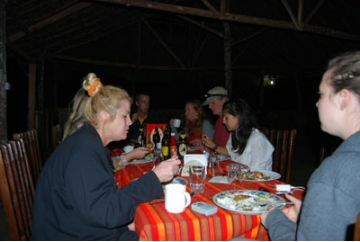 Enchoro Safari Camp provides delicious affordable menu catering for breakfast, lunches and dinner as well as snacks during the day, Meals are served at our spacious Dinning or in the enchoro gardens “bush lunches and Dinners”. Our reception area is open and has an activity desk that can deal with any of your enquiries and questions regarding any updates on information on various touristic activities in Masai Mara. You can as well make direct bookings from our safari camp, no matter what activity you are looking at doing from Village walks, game drives, balloon safaris, walking, trekking, cultural visits, and getting entertained by the Masai Moran’s ( young men)and Women on Masai traditional dances. Safe keeping facility is available free of charge at the Camp warden’s office to lock up your valuables, ensuring a peace of mind on your trip. 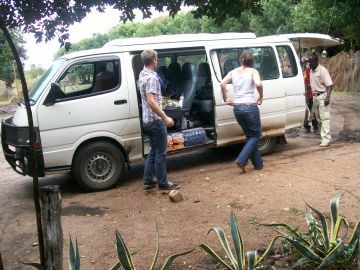 There are daily laundry services to ease your worry of having to try and do laundry when on holiday, Enchoro Wildlife Camp is your place to be on your vacations the budget accommodation in safari tents you can trust. If you need any information and to make reservations, please contact us on the address below. Nairobi International Youth Hostel Building Ralph Bunche Road. Po box 4473-00200, Nairobi- Kenya.